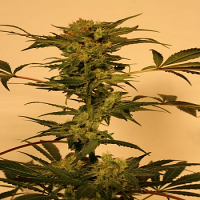 Chem Toffees Regular Cannabis Seeds by Holy Smoke Seeds: It's a beautiful strong and heavy indica sedative with medicinal dark choc coffee caramel and butterscotch terps. 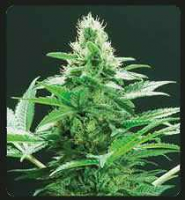 The mother is a huge "Acapulco Gold" that holds some of the biggest produce we've ever seen, she's so sticky even chopping her up can be a challenge and keeping your eyes open, well almost impossible. With the addition of Stone Mountain and Bubba she turns up the CBD and settles into the most sought-after heavy hitter, that pulses the most peaceful and blissful buzz allowing deep relaxation and a beautiful grasp of understanding as it pulses through you in deep rhythmic drifts. It's a perfectly aligned hybrid, it’s instant and strong heavy and medicinal meditative and insightful. The most beautiful caramel and toffee notes, a pure indica treat!